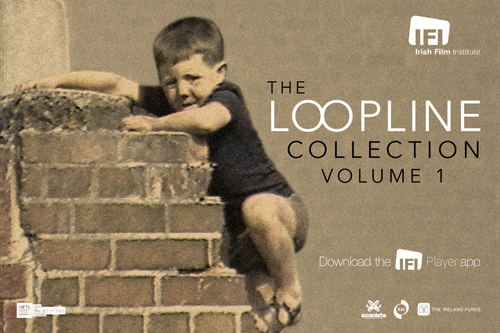 The IFI Irish Film Archive collections are available to be consulted by the public at our premises in Temple Bar. Please note that access can sometimes be restricted due to copyright, preservation and format considerations. 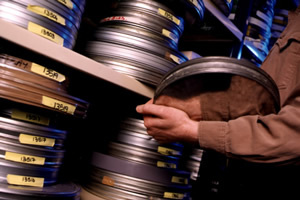 The film and tape collections in the Irish Film Archive include fiction and non-fiction material made in and about Ireland by Irish and foreign producers. The collection has been acquired from public and private donors. The earliest titles in the collection date from 1897, with recent material coming in regularly from the Broadcasting Authority of Ireland and the Irish Film Board. The collection includes feature films; documentaries; amateur material; animated material; educational films; travelogues. 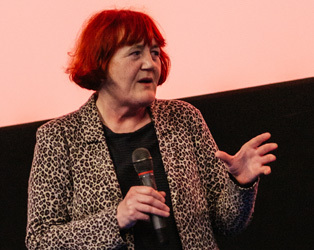 It provides an increasingly comprehensive resource for students of all aspects of Irish cinema. 10.30am-5.30pm Monday to Friday, by appointment. The IFI Irish Film Archive’s Document Collection provides primary research material for those interested in the history of Irish film. The collection includes films stills and posters from Irish films, and production material including images, scripts, storyboards, theses correspondence, publicity materials, production notes and ephemera. The Paper Archive has been acquired from a range of sources, and includes collections from filmmakers such as Neil Jordan, Jim Sheridan, Donald Taylor Black, Pat Murphy, Lord Killanin and Josie MacAvin. Collections relating to the Irish Film Board, the National Film Institute and the Horgan Picture Theatre in Youghal are also held. Access to the Document Collections is by appointment only in the reading room. Please contact the Librarian Felix Meehan fmeehan@irishfilm.ie to make an appointment or for any queries. This information pertains to non-commercial use, for commercial access please visit our Commercial Access page, or contact the relevant member of the Archive staff.